Room 59 is a sub-bureau in the IIA. The continued growth of terrorism in the world has made the leading nations know that special measures are needed. They create a new, independent body called the International Intelligence Agency. Most of the activity by this organization is intelligence gathering and dissemination but there was no doubt that an enforcement arm was needed. Those who work in that section report to Room 59 at headquarters, the only designation used officially for the division. That group is sanctioned to seek out and eliminate threats to world order, no matter the location. When no one nation can handle a situation, the agents from Room 59 are called in. Recruited from all the major players in the clandestine community, the men and women who work for Room 59 are the best, sworn to put the world first and their countries second, however hard that may be. Leading Room 59 is a tough, still fairly young woman named Kate Cochran, beautiful but demanding and not afraid to order people to their deaths, or take them there herself. Cochran, a wealthy woman in her mid 30’s, divorced with no children, was a mid-level analyst for the CIA before being moved to Room 59 and soon thereafter into the Directorship. She answers to her superiors at IIA but she runs Room 59 with complete authority. And she is one very tough cookie. In addition to regular sparring lessons with her bodyguard who is one of the best at hand-to-hand combat, she is a crack shot and a brilliant analyst capable of seeing patterns that most totally miss. She is also capable of a cold-bloodedness that is daunting. In one case, a married pair of agents that she knows well cross the line and one of them probably betrays her trust – with considerable regret but no hesitation she orders their elimination. 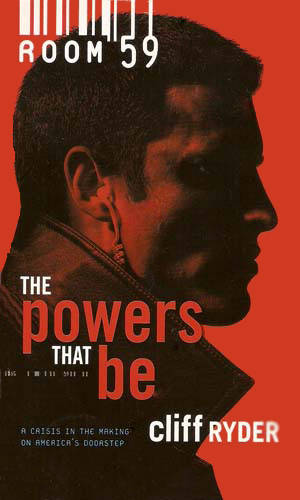 The disappearance of a double agent in Cuba makes the leadership of Room 59 worried he might have gone rogue. A top agent has another worry, though, as they are related. Is blood thicker than loyalty? 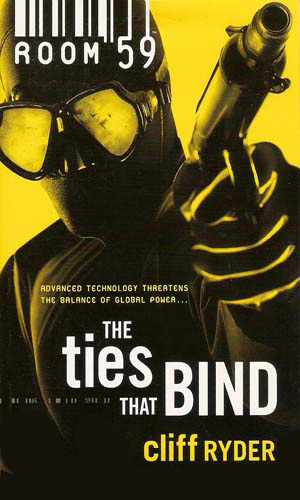 Suffering from a degenerative disease but keeping it a secret to maintain his career, Alex Tempest is ordered to break into and destroy a research lab in China working on a biological weapon. However, his wife works for the same company in the US, causing conflict. A terrorist once thought dead is back and possibly in possession of a nuclear weapon ready to be smuggled into the US. Tracy Wentworth is the agent to stop it from happening. A new recruit is a former CIA operative named Jason Siku, who must use his Inuit background on a mission to find out more about a new Russian sub. What he discovers has far more to do with illegal arms smuggling. 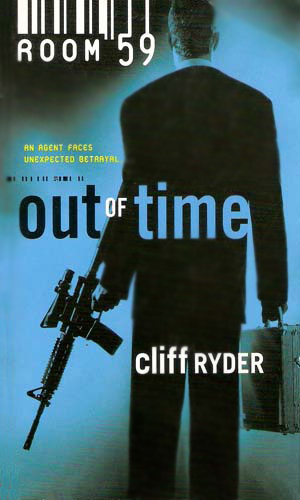 Leading a Midnight Team, a small group of agents involved in wet work, David Southerland is surprised when an enemy team shows up during an operation. His reaction has some in authority angry but may have uncovered an even deeper danger. 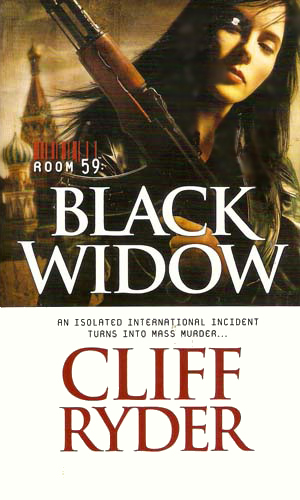 Ajza Manaev was a top operative for MI-6 when she joins Room 59. Her first mission is to infiltrate a Chechnyan terrorist training camp which specializes in turning bitter widows into suicide bombers. Both the leader of the terrorists and her own Room 59 handler have agendas all their own. 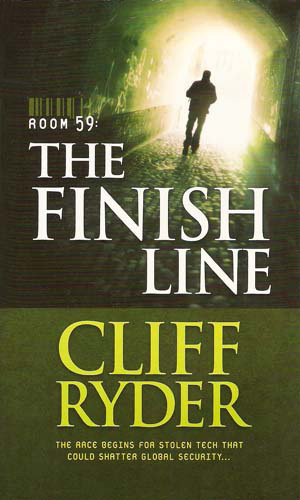 Created by the same publisher that produces the Stony Man and Executioner series, Gold Eagle, the Room 59 books are written by the house name of Cliff Ryder, with each book handed to an individual writer, often the same ones who create the other two series. As a house publication, there isn't a lot of character development. 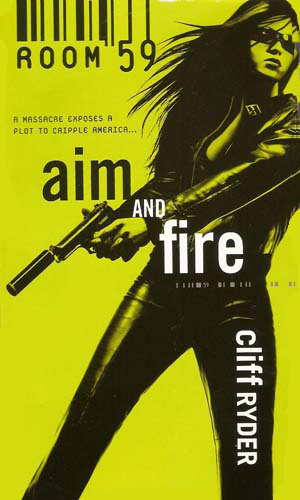 With this series, there is even less as each book has a different agent as the focus. But the same fast paced, high excitement, tons of action that marks the Gold Eable brand is present in this series. And sometimes that is enough. I've said, probably too often, that it's like the difference between fine dining and fast food; most people would prefer the former but the latter definitely has its place, too.